Sitting too close to the TV, not eating your carrots, avoiding your bi-annual eye exam, or refusing to wear your glasses when you need them – these are all the things that we’re told will damage our eyes. From a very young age, our mums would tell us to finish the veggies on our plate, and every other news article these days is about the importance of leafy greens and antioxidant-rich foods to boost our vision. But very few people ever talk to us about smoking. There are more than 10 million adults who smoke cigarettes in the UK, with a total of 60% admitting to an addiction and a total of 70% needing a cigarette first thing in the morning. But the terrifying truth is, tobacco and eye health simply do not mix. World No Tobacco Day took place just a few weeks back in May and the World Health Organization made it their top highlight to reveal to smokers just how bad tobacco could be for their eyes and their vision. If there weren’t enough health-related incentives for adults to quit smoking, the fear of cataracts and macular degeneration will now add to the motivation to finally call it day. During World No Tobacco Day, information was revealed from the 50th anniversary Surgeon General’s report, ‘The Health Consequences of Smoking: 50 Years in Progress’ to try and encourage more people to quit smoking for good. 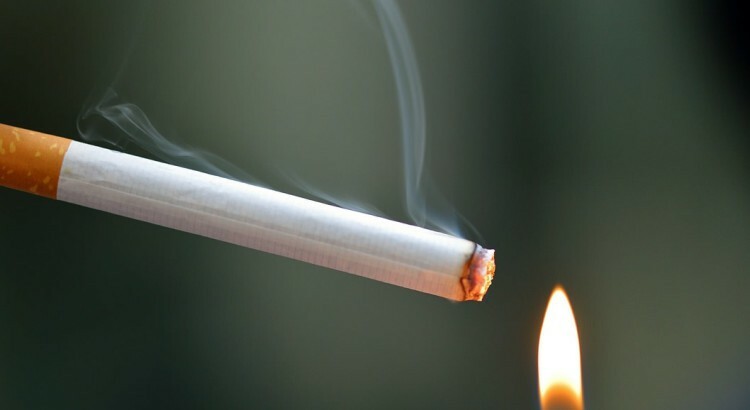 The report revealed that recent studies made a strong connection between smoking and several eye diseases and the figures are pretty scary. The role of smoking in causing advanced AMD, which results in loss of vision, is a significant public health concern and a major clinical issue in the United States … because smoking causes both nuclear cataracts and AMD, it is important for ophthalmologists, optometrists and other health care providers to assess and address the smoking status of their patients. But what speaks more effectively to the public is the shocking numbers. Smoking is said to double your chances of cataracts and it can triple your chances of macular degeneration. For those who also suffer from these eye problems already, smoking is said to worsen the effects so it’s in everyone’s interest to quit on both a preventative measure and during treatment and recovery. If the risk of general poor eyesight and eye health aren’t enough to put you off your next cigarette, the RNIB (Royal National Institute of Blind People) also concludes that smoking is actually one of the leading causes of sight loss and serious visual impairment – even blindness. Smoking can increase free radicals, which accelerate the process of ageing in the body and kill the body’s ability to absorb or extract necessary vitamins from food and this can cause harm to the tissues of your eye. Not only will smoking increase your chances of vision loss and poor eye health in the future, but passive smoking can be just as harmful. So smokers could be harming those around them, including their family members and their children. If you need support to help you quit smoking, you can visit the NHS Smokefree website or call Quitline on 0800 00 22 00. Alternatively, you can speak to your GP for advice on different treatments and techniques.